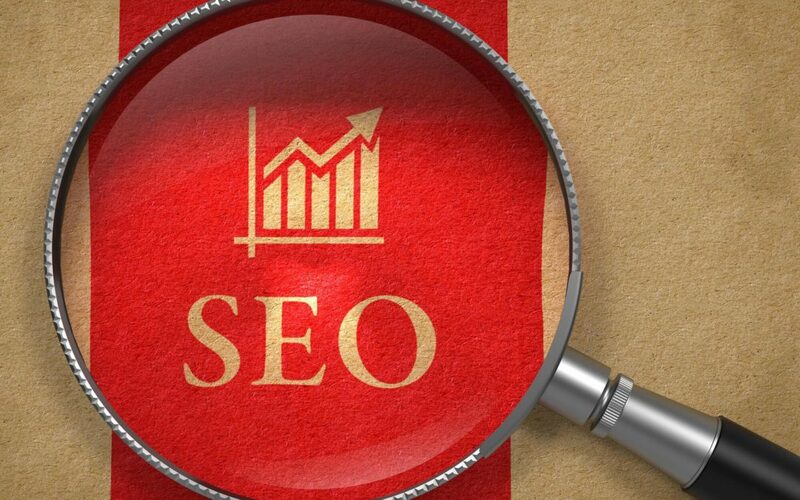 Search Engine Optimization (SEO) is changing in significant ways this year. Why? Google is revising their rules regarding ads and new SEO trends are being released on a consistent basis. The landscape of SEO evolves so much, it’s necessary to have a constant watch on it or you may fall behind. How do you do this if you’re a small business or don’t have someone on staff? We’ve put together a list of the biggest things happening in SEO for you, so you don’t have to waste your precious time on research! Let’s check it out. While these are not all of the trends happening in SEO this year, this should give you a good foundation to get started on. One of the SEO trends for this year is making sure your website is showing up in quick answers and featured snippets. These show up when someone answers a question into Google or another search engine. A featured snippet shows a paragraph at the very top of the page with the highest ranked answer before any search results even appear. Search engines supply the website’s URL and title with a link for a user to click to read more. A quick answer provides a number of answers to users’ questions that they type into search. This is similar to a featured snippet but it provides multiple answers instead of just the top-ranked answer. Featured snippets and quick answers are really good for SEO. If you’re already ranking as a featured snippet or quick answer, it means that Google finds your website pretty valuable. They have searched your page and found your answer to be the best among all the other websites out there. If you’re already showing up, great job! You’re on your way to bigger success in SEO trends. Featured snippets also show before any organic search results appear, even before a website ranking number one. Users like them because they provide a quick answer to their question, and if they want more, they can just click on the link provided that directs them to your site. Optimizing your website for featured snippets and quick answers uses the basic principles of SEO. The basic steps that you can take include verifying your website is targeting appropriate keywords, have content that is relevant and have an FAQ section on your website. Other ways you can ensure your chances are higher to show up on a featured snippet or quick answer is to link to highly relevant webpages, have interesting topics, have high-quality content, deploy basic SEO principles, or be featured on Wikipedia. The second of SEO trends that is becoming more popular is using long tail keywords across your webpages. SEO beginners will tell you that long tail keywords don’t make much sense in terms of generating large volumes of website traffic. However, SEO experts disagree. They find that long tail keywords hone in on a very specific target market. They help users that are searching for your exact product or service, find it quicker. They are not as popular so the competition is a lot lower. This is a really great place to start with your SEO strategy. Long tail keywords and featured snippets are not the only growing SEO trends of 2018. It’s becoming more and more about content that is relevant to your users. Is it valuable? Are they interested? Do they want to read more? Search engines take all of these things into account when ranking your website for SEO. If your website has high valuable content for a user, keeps them interested, and keeps them coming back, then you’re doing it right. If you’re creating new content on a consistent basis, make sure it’s going to be relevant for your users. Meaningless content does no good for your website, and search engines can tell when you’re adding stuff, just to add it. This is a pretty simple SEO strategy to put into place if you don’t already have it. Search engines like Google recognize when a website isn’t secured. When you’re purchasing a website, you can get an HTTP URL or an HTTPS URL. Sometimes, companies opt for the HTTP because it’s less money upfront. Sadly, that is a mistake. Search engines are now displaying websites that are not recognized as secure and showing up as a little red caution symbol. If you’re a business, it’s crucial to have a secure website and show your users you’re more interested in their security than you are a few extra dollars. In a world of growing scams and hoaxes, having a secure website is going to speak volumes to your users. If you choose not to, they may go somewhere else. Look at this website as an example of the use of HTTPS to learn more. Our last tip? Make sure that your website is optimized for mobile phones. Not only does this count in SEO ranking, it also helps to provide a good user experience for your website visitors. Not having a mobile-friendly site, can drop your SEO score at an extreme amount. Your site may rank number one for SEO, but if it’s not optimized for mobile, it won’t show up first. Google and other search engines are all about making the best experience for a user. Having a website that doesn’t function on a mobile device, or is not responsive, is not doing you any favors. If you’re unsure if your website is mobile friendly or not, Google has a free service where you can test. It’s the Mobile-Friendly test and it’s designed where you enter your website URL and it will tell you if it’s mobile-friendly or not. It will then tell you the ways you can improve it. Now that you have some of the tools of SEO trends for this year in your back pocket, it’s time to get started. Do an audit of your website and make sure you’re incorporating what’s listed above. This may take some time initially, but it will help your website’s performance improve and provide a better user experience. Once you’re done implementing the tips listed above, check out our page for other ways you can improve your website SEO.